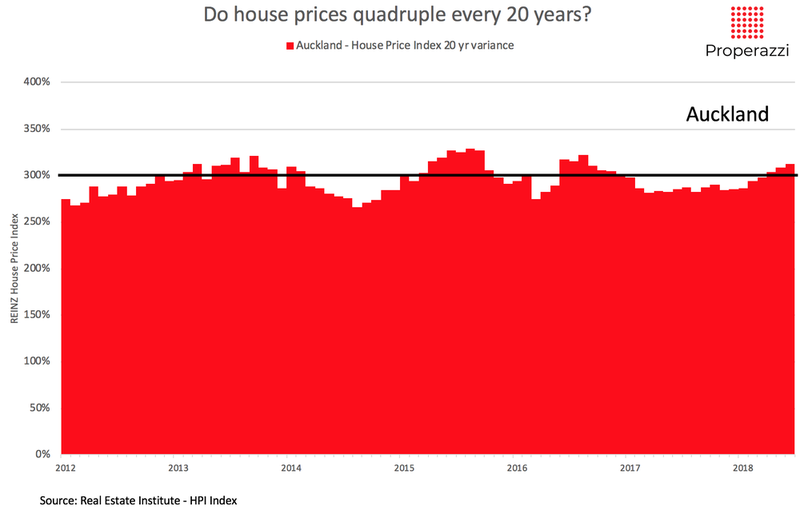 As I have commented recently, I've made a conscious decision to cease to produce data analysis on what is seen as the "NZ Property Market" - the fact is this aggregation is really no longer as relevant, given how distinct the property market is between Auckland the rest of the country. 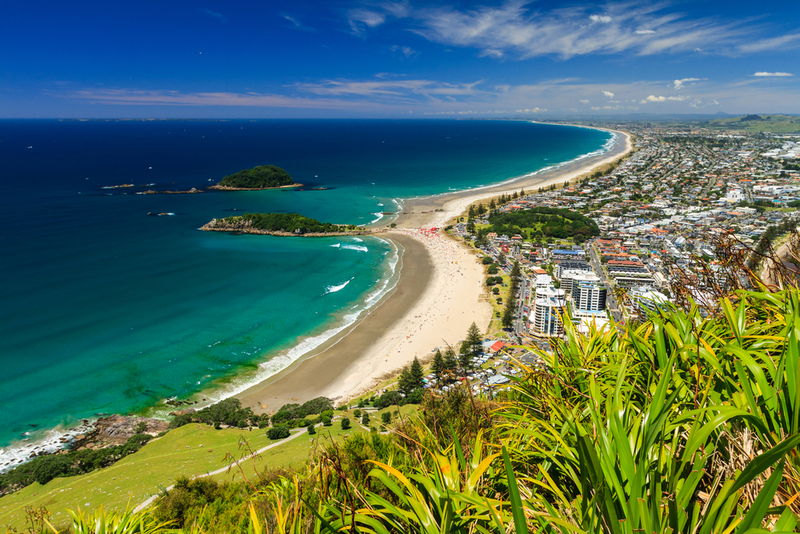 So this is the first of what will be a quarterly report for the aggregation of property data for areas outside of Auckland, complementing the separate report for the Auckland market. The brief overview of the property market outside of Auckland based on data up to and including July, shows a relatively healthy market with good clearance rate, sales volumes fairly static at a strong level, with prices continuing to rise with mid single digit year-on-year growth. From a volume sales perspective - annualised volumes are steady at around 52,000, a level that has been consistent for around 9 months. The past 4 months has seen a very slight increase but not enough to yet call it a upturn. This level is down 16% from the last peak of sales which was close to 2 years ago, far less than the fall seen in the Auckland market which was 37% from peak. When seen as annual variances in monthly sales, the picture shows modest rises in sales comparing each month with the same month in prior year with barely a perceptible trend up or down. In terms of pricing the median sales price over the the past quarter has marked time at the $455,000 level. Back in March the median price peaked at $460,000 and subsequently it has bounced around that level but not as yet exceeded it. The chart below tracks the year-on-year variance of monthly median sale prices over the past two decades, showing as it does how consistent property price appreciation has been over this extended period. I am very keen on this relatively new metric of the clearance rate as a tracking tool for the trends in the market. It is measured as the rate of sales against the rate of new listings - think of it as the available stock in a warehouse - if your clearance rate is below 50% then you will suffer the pressure of overstock and will need to adjust prices down to clear inventory. The opposite with a clearance rate of over 50% indicates strong demand which can create price inflation. As you will see from the chart below the clearance rate for NZ properties outside of Auckland is edging up, as it has been for most of this year so far. The point about clearance rate is that it is all about relative market activity so whilst sales are almost static this is matched to static new listings, within this market dynamic, the properties being listed are being sold at an ever increasing rate; and as the chart shows clearance rate tracks to a pretty close correlation to price inflation. It is also worth comparing the clearance rate outside of Auckland with that in Auckland. Auckland clearance rate is currently just 55% as compared to outside of Auckland at 68%. I have added a modified version of the clearance chart below prompted by a comment from John - he was questioning the uneven scale range between price movement and clearance rate. I have used the 50% clearance rate as the midpoint and then adjusted the upper level to +25 percentage points as per the price movement and equally -15 percentage points to the lower level. A bit later than planned here is the quarterly report. I've included the latest July property data to produce this analysis of the Auckland property market. 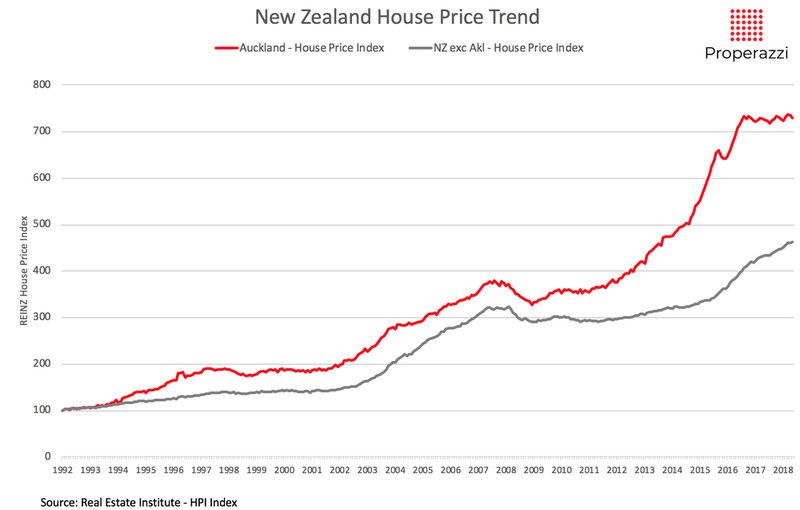 As I have commented recently I've made a conscious decision to cease to produce data analysis on what is seen as the "NZ Property Market". The fact is this aggregation for all NZ property data is no longer as relevant, given how distinct the property market is between Auckland the rest of the country. That is why I will produce a quarterly report on Auckland and another one on New Zealand outside of Auckland. The picture of the Auckland property market now with the benefit of a further 4 months data since the last report is showing a market in the doldrums. 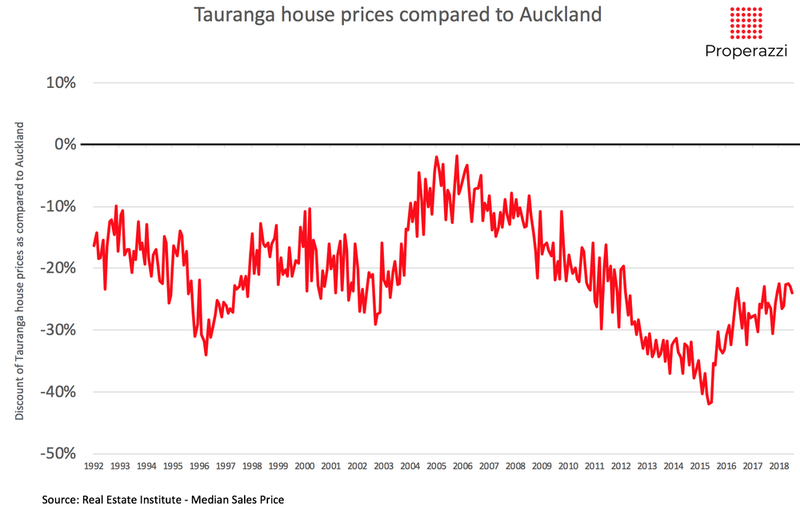 A situation that is actually quite uncommon from a historical perspective as compared to the rollercoaster that typifies the Auckland market. From a volume sales perspective - annualised volumes have remained at the level of 21,500 for virtually all of the past 9 months with just the vaguest sense of an increase in the past 2 months. Remember this is annualised sales so there is no seasonal factor to explain any movement. This level of sales remains at levels reminiscent of the post GFC period of a decade ago, far from the peak activity of 3 years ago. The decline since that time is significant 37% less sales. When seen as annual variances in monthly sales the same visualisation of the market in the doldrums is reinforced. 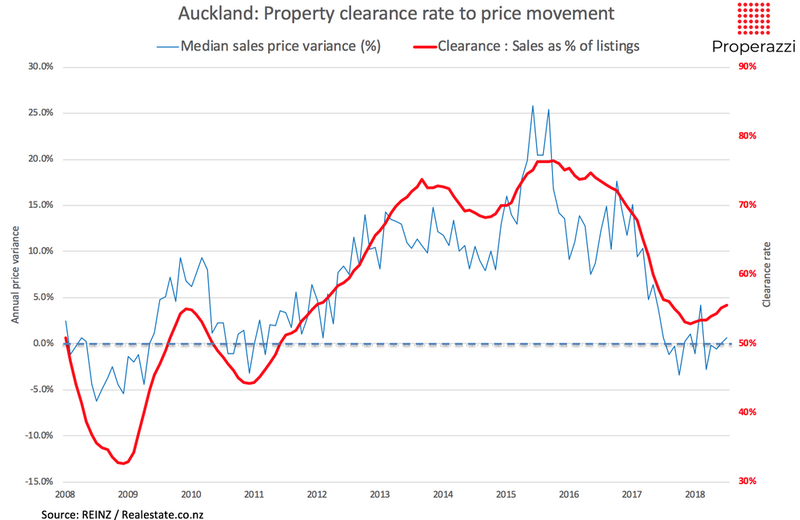 The typical cycles of the Auckland property market usually see a seesaw rise and fall, whereas the recent period has the appearance of a market just marking time; deciding if the next move will be up or down, almost mirroring the recent proclamation of the Reserve Bank Governor. In terms of pricing the median sales price over the the past quarter has similarly marked time at the $850,000 level, although July saw this slip down to $835,000. It is now fully 18 months since the Auckland market topped out at $905,000 - subsequent months have seen prices bump around between a low of $820,000 and a high of $880,000. The chart below tracks the year-on-year variance of median sale prices over the past two decades. I am very keen on this relatively new metric of the clearance rate as a tracking tool for the trends in the market. It is measured as the rate of sales against the rate of new listings - think of it as the available stock in a warehouse - if your clearance rate is below 50% then you will suffer the pressure of overstock and will need to adjust prices down to clear inventory. The opposite with a clearance rate of over 50% indicates strong demand which can trigger price inflation. 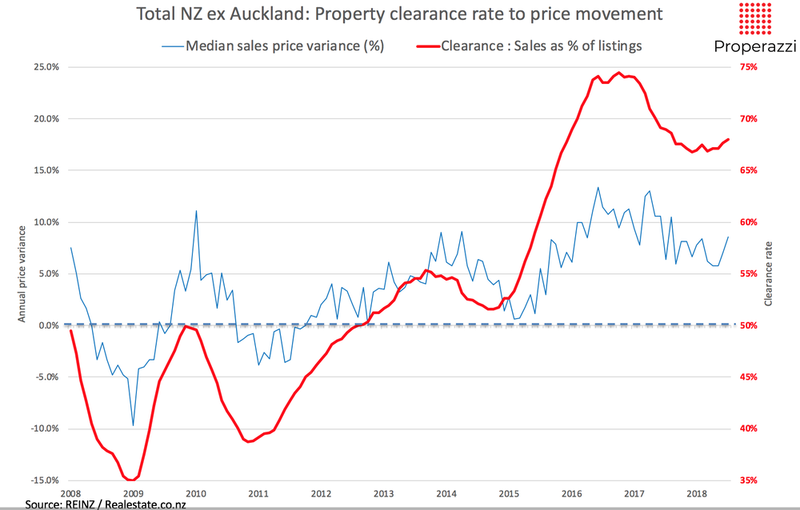 As you will see from the chart below the clearance rate for Auckland is edging up, as it has been for most of this year so far. The point about clearance rate is that it is all about relative market activity so whilst sales are almost static this is matched to very low new listings, within this market behaviour the property being listed is being sold at an ever increasing rate and as the chart shows clearance rate tracks to a pretty close correlation to price inflation. So just maybe the Reserve Bank Governor was righter than he thought when he stated that there was as much chance that property prices would rise as they would fall! I’ve been a fully licensed real estate salesperson for 3 months and I thought it would be interesting at this point to share my thoughts, experiences and insights. Valuable, I hope for others who may be thinking of embarking on this career path and also potentially a valuable reflection piece for those already established in this industry. The fact is real estate is tough. There is a saying I remember from years ago and echoed at a recent training session “Real estate is simple, but by no means is it easy” – it is true; if a little overly simplistic. The fact is real estate in 2018 is a detailed process-based business with a high degree of legal requirements and obligations, more so each year. As I stated in an earlier article tracking the process of studying for the Certificate in Real Estate, there are 30 Acts of parliament that are studied on the course and all potentially have a direct impact on this process and need to be understood and adhered to by all agents. However, long before you ever get close to talking to a buyer or seller and providing any form of service, the life of a newly licensed real estate is all about building a profile and making an impression so you can be seen at least as relevant. It’s all about building a brand. This is so key. The hard truth of this industry is that there is no shortage of real estate salespeople. Nowhere around the country is currently underserved by a real estate agent; and in the main cities there will be tens of capable, experienced and competent agents ready at the drop of a hat to list a property for sale. So this is the highly competitive marketplace into which you need to launch yourself and create a point of difference, and even before that, just get to be seen and known. Real estate is a numbers game and in general terms the numbers (the odds) are not great. At any one time there are probably around 20,000 people in NZ actively involved in selling their home, that’s less than half a percent of the population – 1 in 200. However this group who are easy to target are not the audience you want to reach out to and engage in order to succeed to gain a new listing. The target audience you want to address are the people in the stage before that. A very short window in which people who have possibly been looking to buy, get that confidence to say “right let’s going, let’s get our house on the market and let’s buy that new property” – I suspect that audience is fewer than 1,000 any one time and with 14,000 agents in NZ today ready to serve that market that’s a highly competitive environment for a new agent to take on well-experienced and established operators. Imagine trying to identify that target audience in your local area, you are talking about a needle in a haystack; 1 person in 4,700 – virtually impossible. What you have to do is rely on connections and engagements. 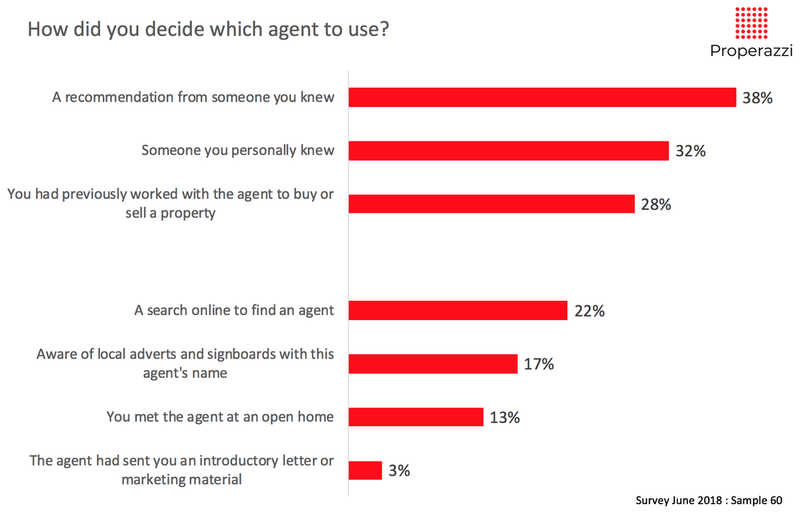 That is why agents constantly reach out through networks, make new connections, market extensively and make proactive approaches to everyone in their local area. For unlike established agents, new agents have no referral network of previous clients to rely on for future work or referral. In my case from the outset I chose to focus and leverage on two clear points of difference when compared to my well established local competitors. These were my analytical capability focused on local property market trends and insights; matched to my unique and extensive experience in digital property marketing. That was the easy part, the hard part was to communicate these capabilities and break through the paradigm that sees people use the same agent time and again or rely on agent's presence (existing listing stock) as the arbiter of the decision of which agent to use. 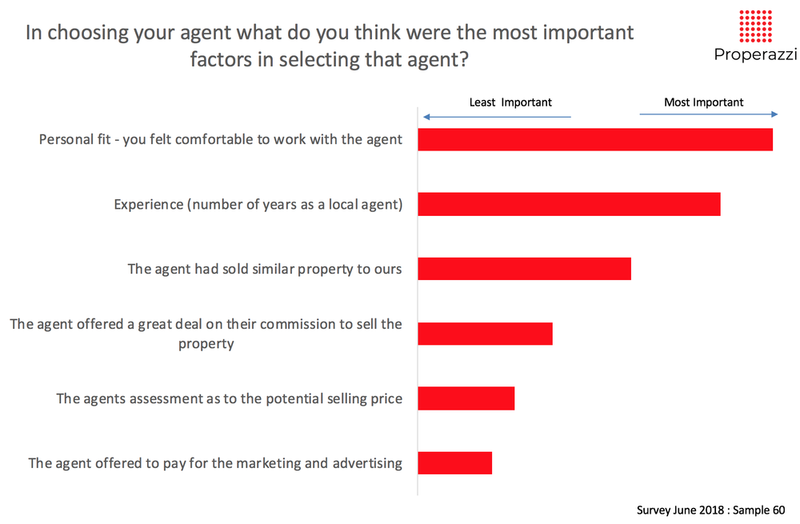 As I will highlight in a forthcoming article this decision making process in selecting an agent, based on a survey I am currently undertaking is heavily skewed to established agents. To substantiate my analytical capability of the local property market I am writing and publishing a hyper-local property report for Devonport each month. I maintain a detailed database of property listings and sales, enabling me to publish this report early in the month. This initiative is already bearing fruit with a growing subscriber base for the full email version of the report which enhances my brand awareness and my role and is supplemented through the publication of the abridged report in the local fortnightly local paper The Flagstaff. However passive marketing is as ever, a slow build. The massive hurdle that needs to be overcome to really kick-start an agent’s career is getting a listing; this is the mark of credibility. However the ‘chicken and egg’ conundrum kicks in – how to get a listings without having the credibility of a listing? This is where the numbers game comes back into play. You need to try a myriad of initiatives to see if somewhere, something bears fruit. As I described it the other day when sharing experiences with my fellow Bayleys newbies – it’s like growing crops, you have to sow masses of seeds and tend and nurture the ground, feed and water and eventually shoots will arise – it takes time, patience, fortitude and tenacity. Here is a selection of the initiatives I have undertaken to date. - I target local streets where recent sales and listings have been active and communicate through personalised letters to all home owners with my property report and insight as to the local market dynamics. There is well know fact that properties tend to come onto the market when those around them are listed - a strange correlation that I think needs investigating! This is sample of the tactics I have employed to date. 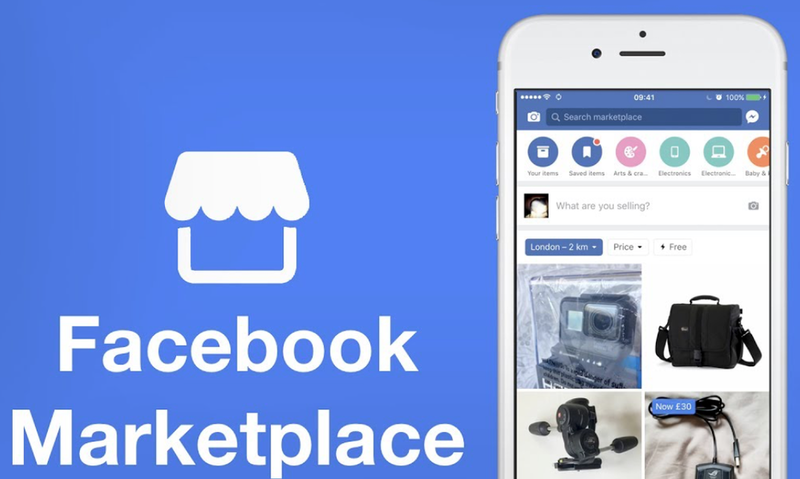 To this you can add digital marketing through Google Adwords, Trade Me advertising, Facebook promoted posts. All focused to drive traffic to my personal brand website which I have tweaked regularly as I have reflected on what I can do to trigger the right engagement with my prospective target audience. I've also had produced a personal brand video so as to allow people to evaluate me as a person. So what success so far? – well as of today there is no listing with my name on it. However there are germinating seeds which I am confident are soon to blossom. I have a client who will sell their home, however my task is to find them their next home which is challenging, but exposes me to the world of being a buyers’ agent which is a valuable experience. I also have three further clients for whom I am working to find them their next home and hopefully from that I may gain another listing or two. I am also working outside my home area when helping people as a buyers' agent which is surprising and valuable. As I have said it is a numbers game. I should think that over this first 3 month period I have engaged and contacted over 250 people in my local area directly, plus an unknown number through other marketing. I’ve already invested over $12,000 in real cash in this new business of being a self employed agent which does not take into account the cost of my time everyday I work in this business, nor the cost of the time studying for the course and certificate. The brutal fact is that more than half of all agents do not remain in the industry past 6 months, I am at the 3 month stage. I am sticking with it, I can see the future and I am confident that I can establish myself in this industry and deliver a professional service that is respected and valued. I’ll keep you all posted with future articles in the coming months. I almost forgot this. If anyone tells you or you suspect that establishing yourself as a new real estate agent is a lifestyle choice, then tell them politely from me - if you are prepared to let that lifestyle consumes your every waking moment 7 days a week with no hope of a holiday then they clearly they are open to a new form of lifestyle. Sure I choose to work where and when I like, but every moment you are not thinking about where the future business will come from, you will be worrying about where that future business will come from. Just some advice!